Panther Fans! 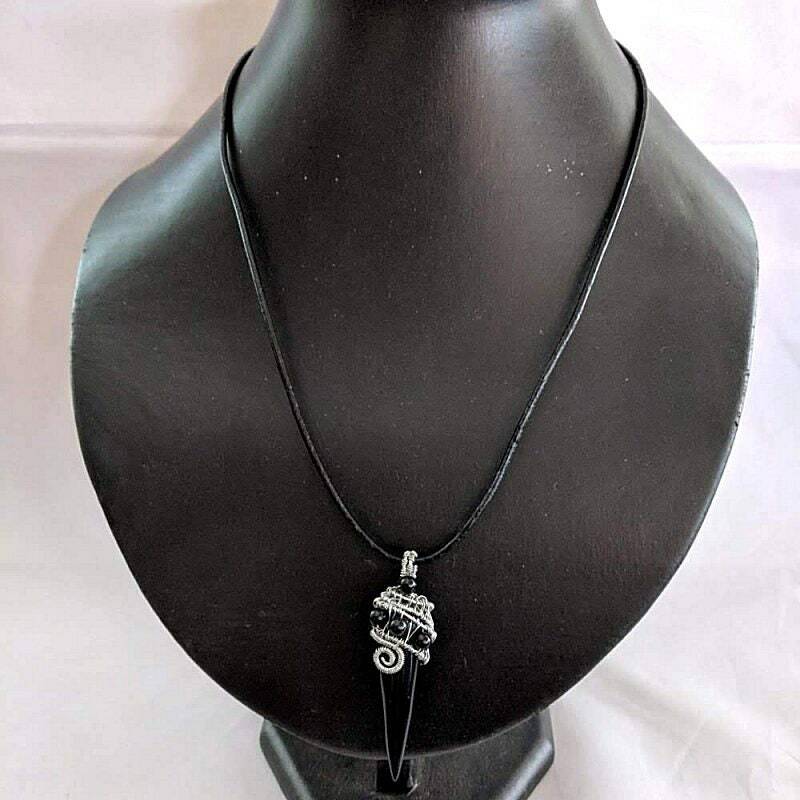 Not sure if this is an Aztec, Native American, Marvel Comic or sports fan pendant. Guess it just depends on whether you want it ot be a jaguar claw or a panther claw. 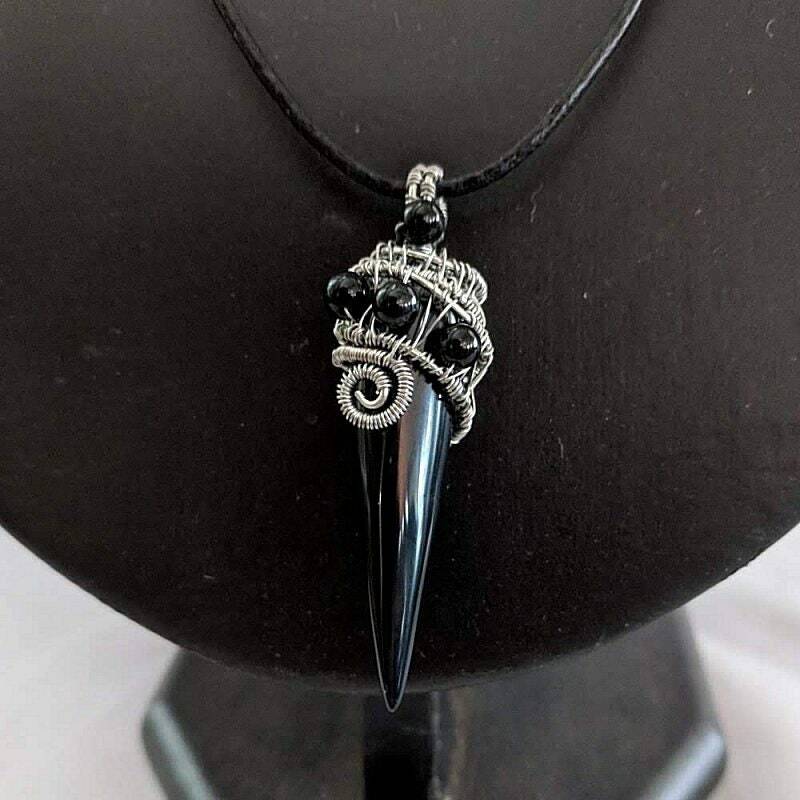 The wire wrapping is coiled and woven in a spiral around the top of the stone claw, ending with a spiral on the front and back. 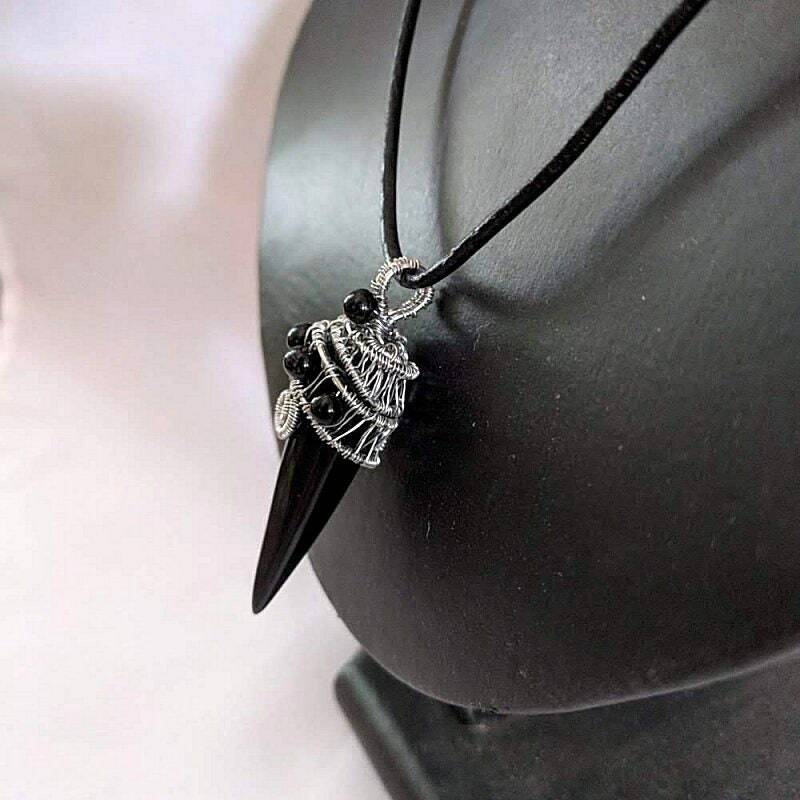 The design looks like it is from an ancient culture and can be custom ordered without stones. 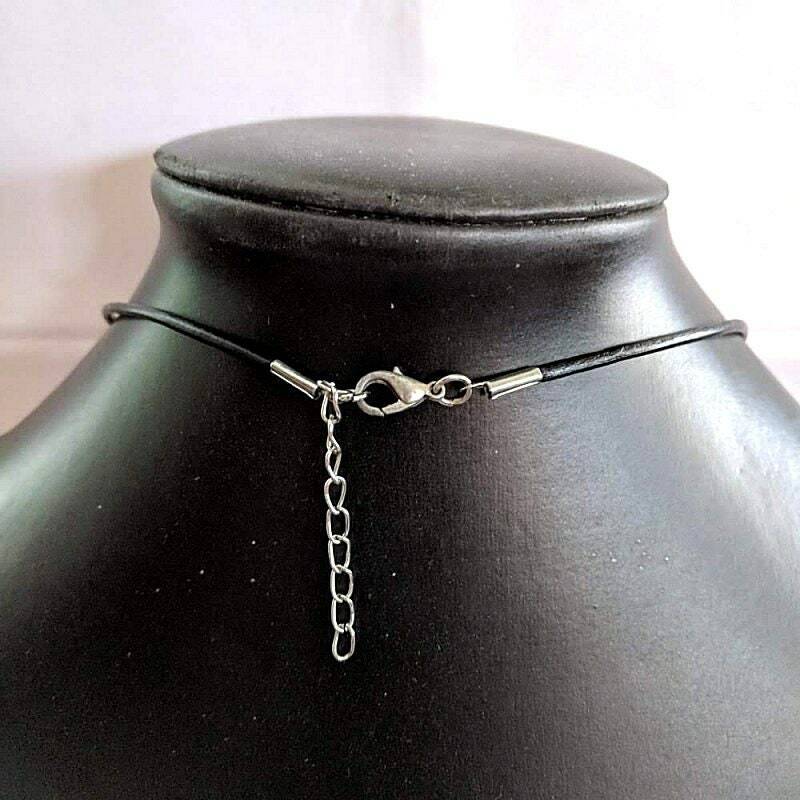 This pendant's primary element is a 32 - 38mm or approx. 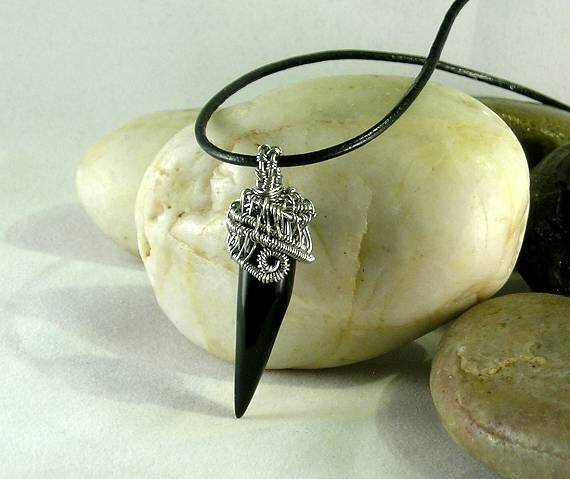 1 1/4 - 1 1/2 " black onyx stone in the shape of a claw. 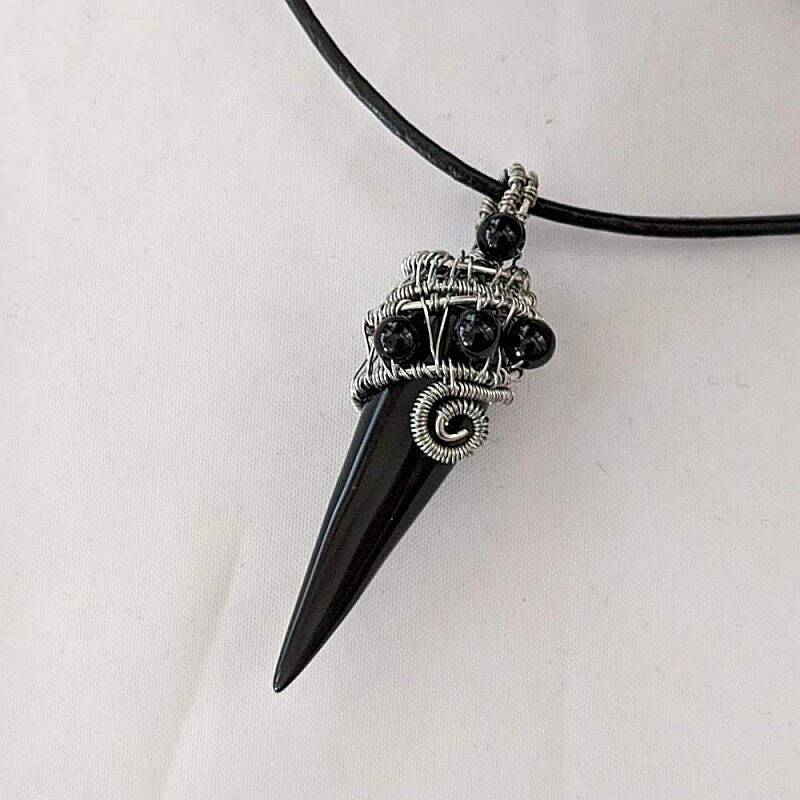 It is topped with an intricately wire wrapped cap that is embellished with 4mm beads. 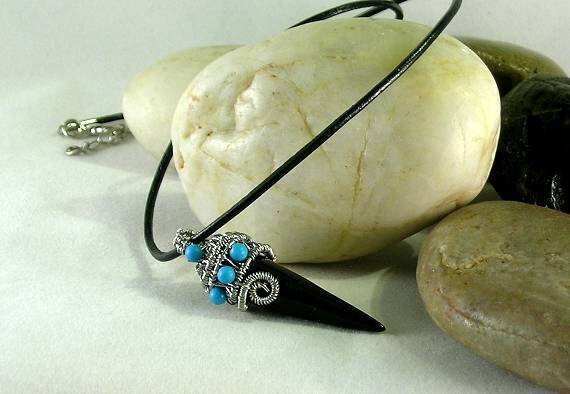 Your choice of onyx or turquoise beads. 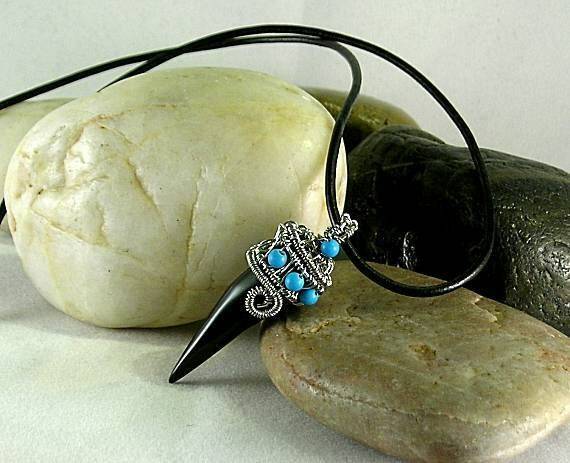 The turquoise beads have that beautiful blue that is popular with the NC Panthers fans. 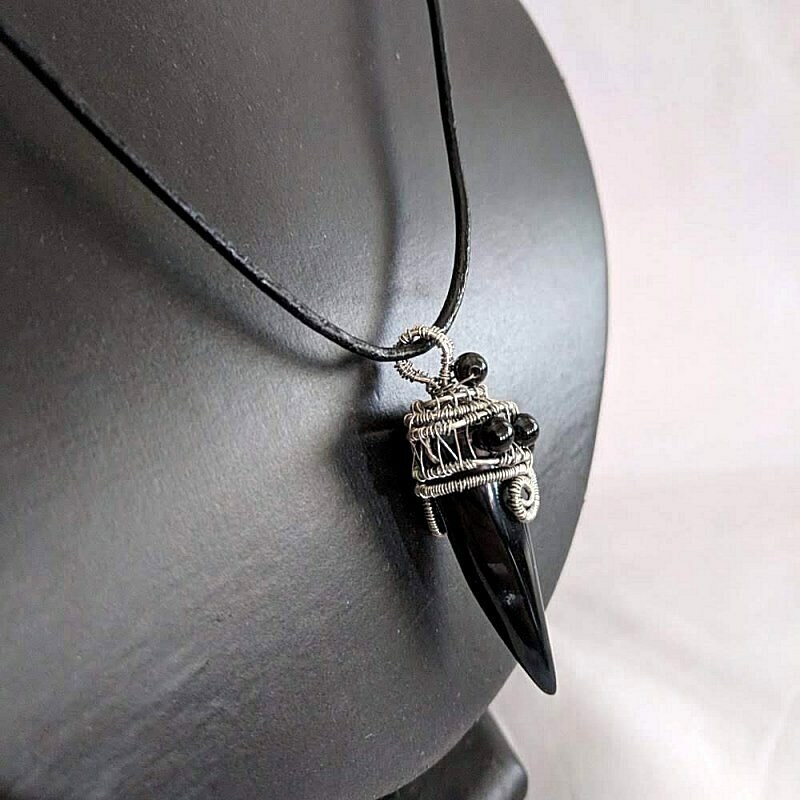 Overall the pendant measures almost 2" and is hung on a 18" rolled leather necklace which closes with a lobster claw and chain extension that will add 2 more inches to the length, if necessary. 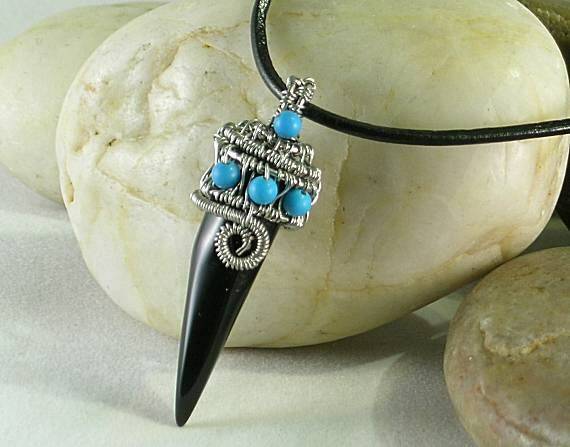 Please allow a few extra days while we make this pendant especially for you. We ship via USPS Priority Mail - Insured so you will receive your order in 2-3 days once the package is posted, plus you can track it on-line.